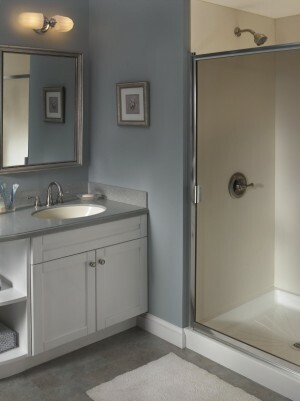 One of the easiest ways that a person can alter their small bathroom design to make it appear larger is to choose light soft colors for the décor of the bathroom. Another small bathroom design that can be used to make a bathroom appear larger is to replace a large vanity or countertop with a slimmer, pedestal sink. 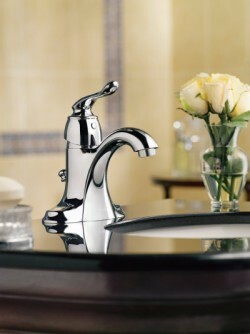 A pedestal sink can be found in many different styles, colors, and materials, allowing them to be matched to any décor. 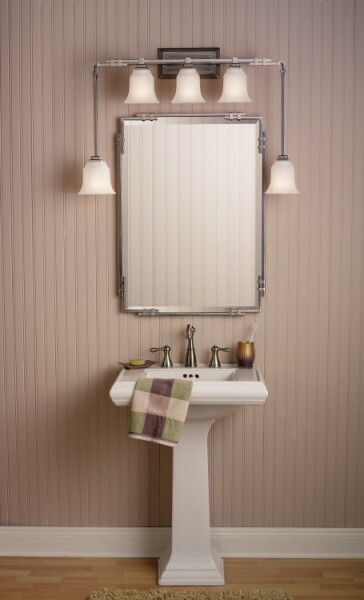 By placing a pedestal sink in the small bathroom, you can open up the bathroom space by another ten percent. © 2019 nouveaubathrooms.com - All rights reserved.